Have you got a mossy, discoloured bungalow/chalet roof? Years of fungal growth, mould and algae can completely mask the original colour of your roof. tiles or slate. 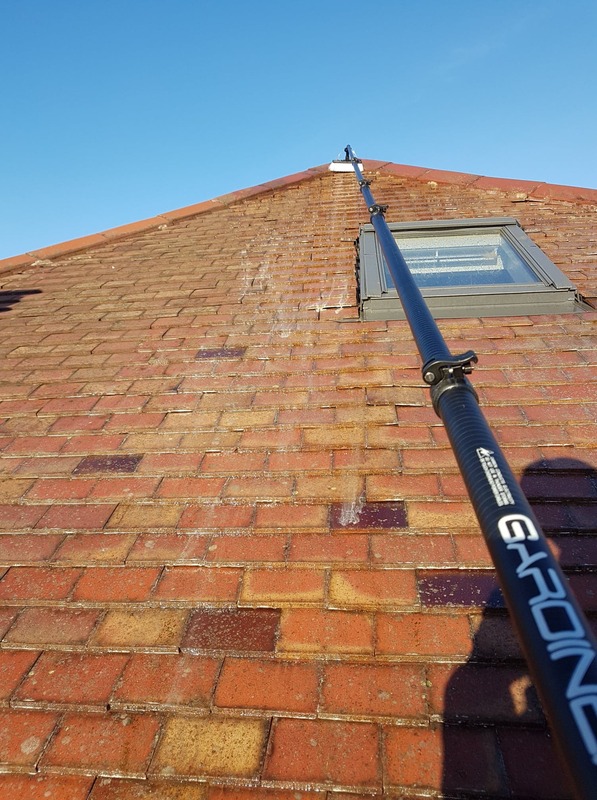 Dan Frazer Gardening’s approach is to get roofs looking good, clear and clean, and to keep them that way for the long term. The jobs carried out recently on bungalow and chalet style roofs have finished with a shine not seen for decades! 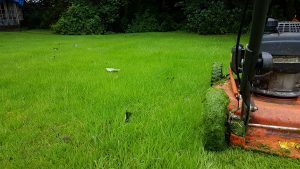 Any heavy moss growth will be scraped off, and the roof then treated with a choice of chemicals that will give the best result for that roof. All work is finished off with a treatment of long lasting fungicide, and a gutter clean. Because we only work from secure ladders, we will clean bungalow and other low roofs, but not those with the roof line on the second storey. Long lasting protection from fungal and algal growth. Professional products and equipment used. 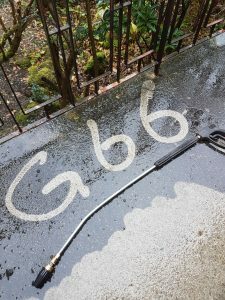 NO unnecessary “roof coating/sealant” upsell! This roof was coated with a layer of black mould, hiding the lovely bright rosemary tiles. These roofs are very susceptible to damage if walked on, but as a bungalow, this whole roof was able to be treated from the ground and a secure tripod ladder. The house stands in a prominent position in Lenzie and the difference a good clean makes to the overall appearance of the property is remarkable. 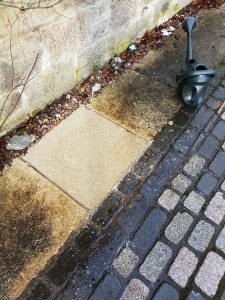 If you live in Lenzie, Kirkintilloch, Bishopbriggs, Bearsden, Milngavie and surrounding areas, and would like a quote for roof cleaning on a bungalow or roof with gutters at the first floor, get in touch on dan@danfrazergardening.co.uk. Choose the roof cleaning service you can rely on, from a safe, experienced and insured local business.